Full Recording of April BUS here. 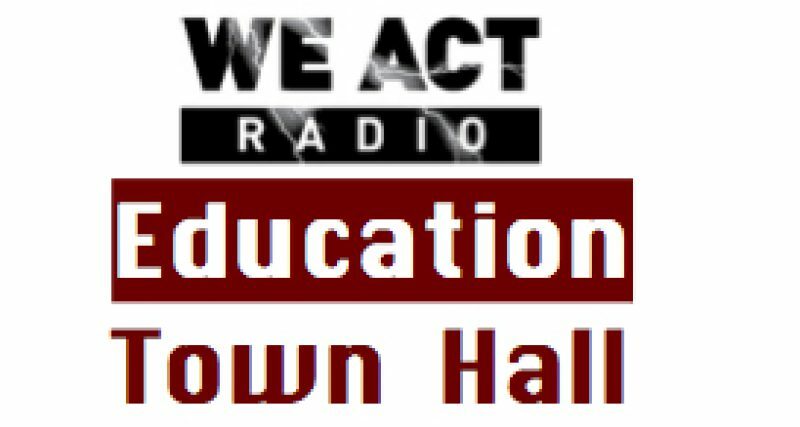 Topics on the Education Town Hall’s April 2018 BUS Ride are education funding in Florida and the effect of gun violence on students and teachers. Listen on We Act Radio via TuneIn or ProgressiveDC on 4/26 at 11 a.m. EASTERN. 11 a.m. — Nadia Zananiri is a social studies teacher in Miami-Dade public schools, blogger, and founder of Florida Educators United. She will discuss issues Florida teachers and students face and how she is leading the fight to organize for a better public education system for all. 11:30 a.m. — Del Swain is an educator who lost a son to gun violence. She will discuss issues are gun violence and schools as well as local organizing efforts in Florida.